Santa Barbara Attorneys for Employment Law, vindicating employee rights from Santa Barbara to San Diego. We handle claims for harassment, discrimination, wrongful termination or retaliation at work, unpaid overtime, bonuses, or commissions, and denied meal or rest breaks. 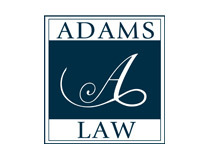 Its founder, Christine M. Adams, is an experienced and aggressive employment law attorney with the knowledge, experience and resources to help you obtain the result you want, whether through settlement or trial. Equally as important, you will be treated with respect and dignity by someone who cares about you, not just the end result. We focus exclusively on employment law, protecting and prosecuting Employee Rights claims from Santa Barbara to San Diego. Our attorneys will fight for your rights! Employment law claims for Missed Meal or Rest Breaks.